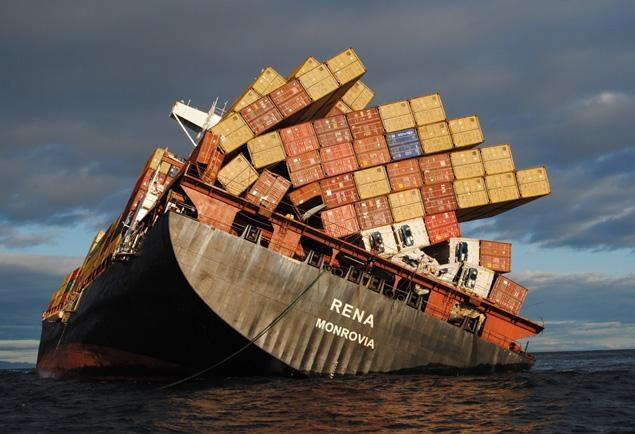 This is why that item you've been trying to buy is "currently out of stock"
That's the MV Rena, which hit a reef off the coast of New Zealand in 2011 because the captain was reportedly taking an unauthorized shortcut. 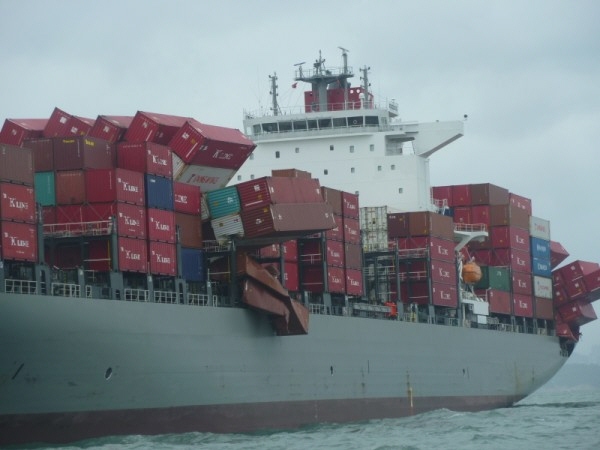 When it first got stuck, the captain was probably like "Ah, this isn't so bad:"
I'm amazed that some of those containers are still hanging on at all. 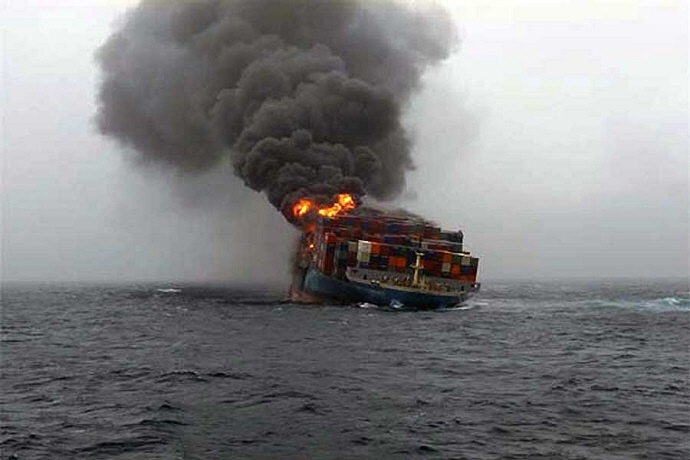 Unfortunately the ship happened to be carrying oil, diesel and hazardous materials, among other things. 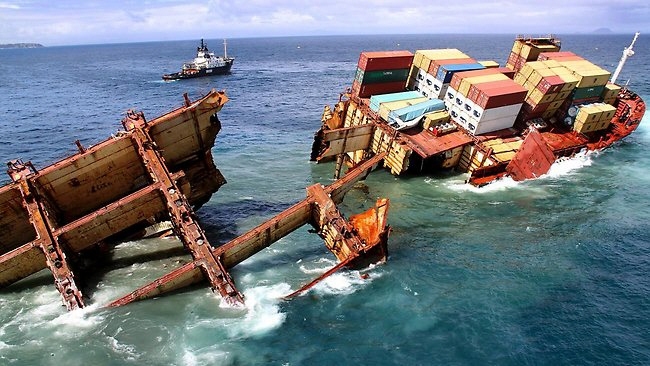 It dumped hundreds of tons of oil into the water, devastating local wildlife and making it New Zealand's worst maritime disaster. 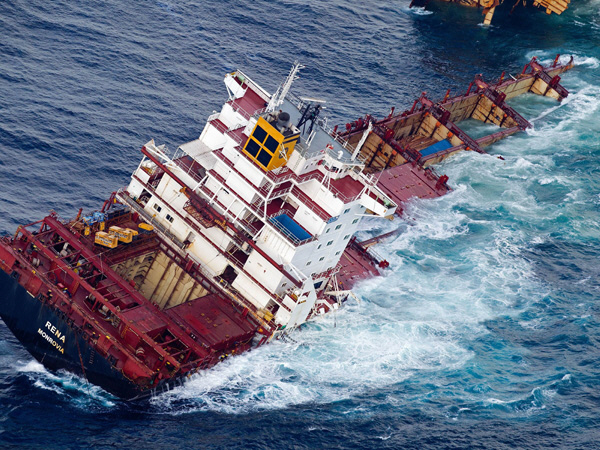 Salvagers struggled to remove what containers they could and tried to pump as much of the remaining oil out of the ship as possible. 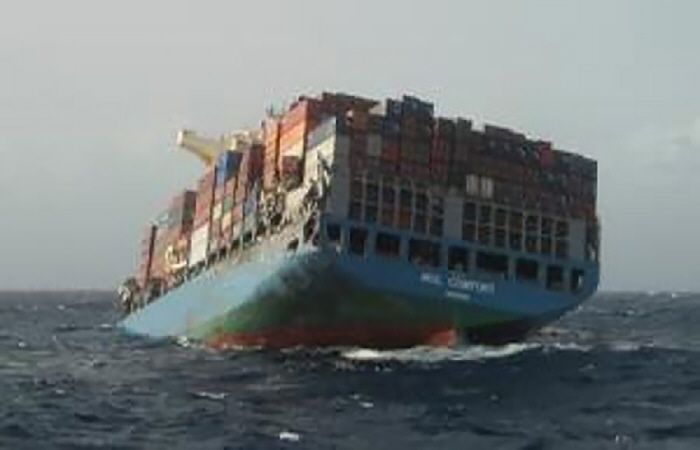 ...but eventually the ship broke in two and the stern sank completely. 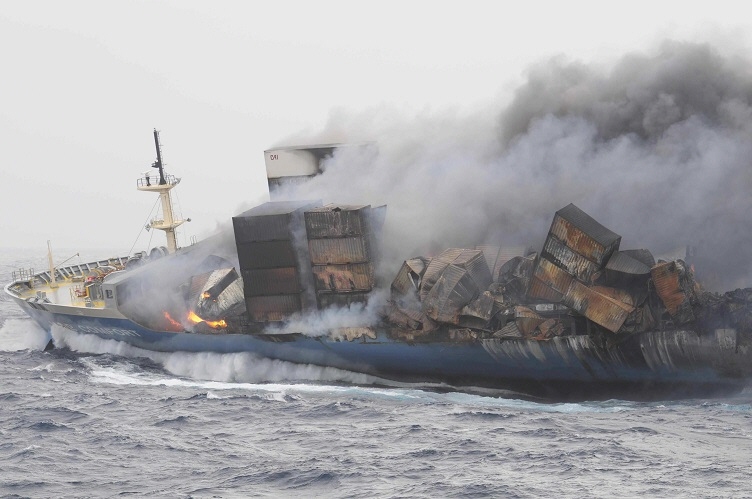 Salvaging operations continued for two and a half years. 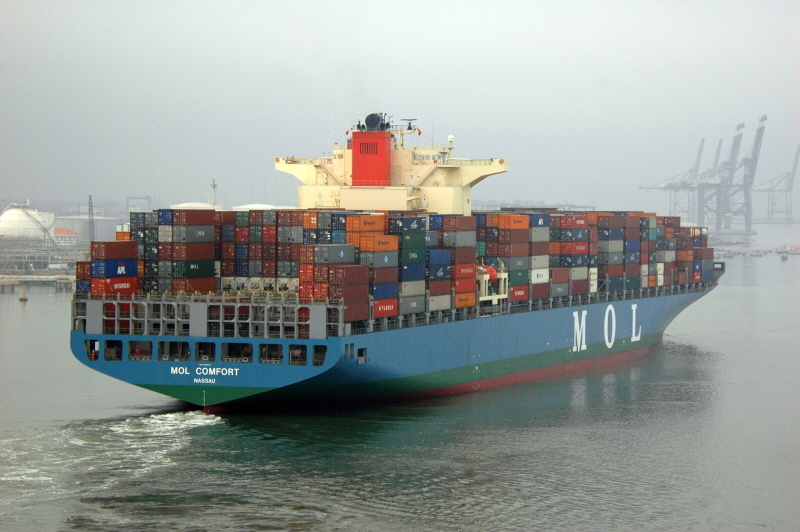 This here is the MOL Comfort, fully laden with goods. 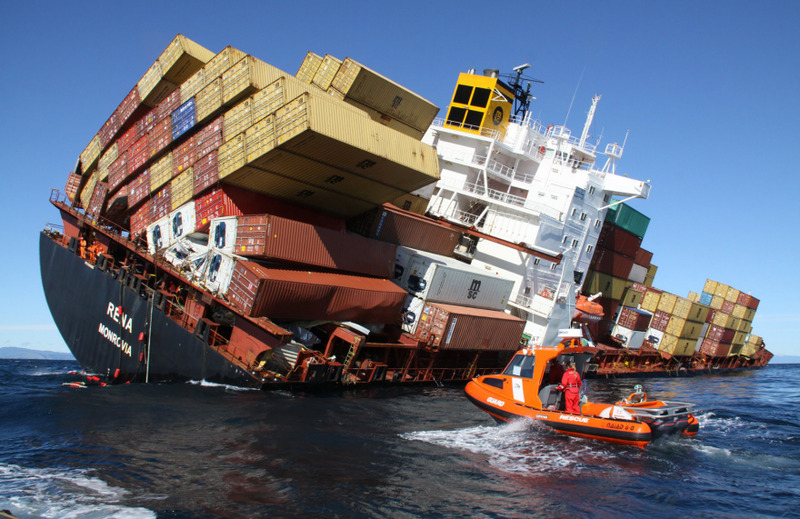 It took a week to get oceangoing tugboats to the site. 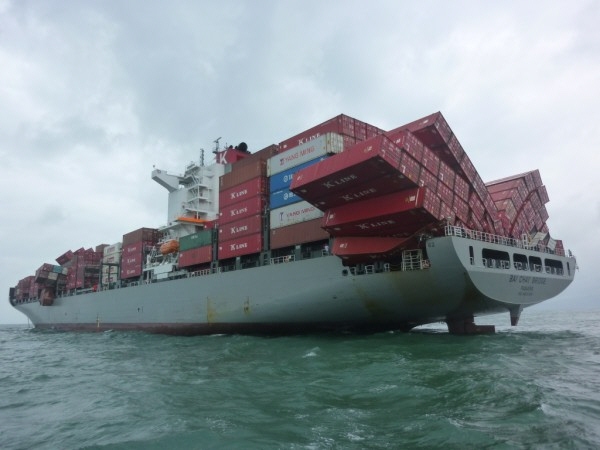 Amazingly, they were able to begin towing the bow half of the ship back to shore. 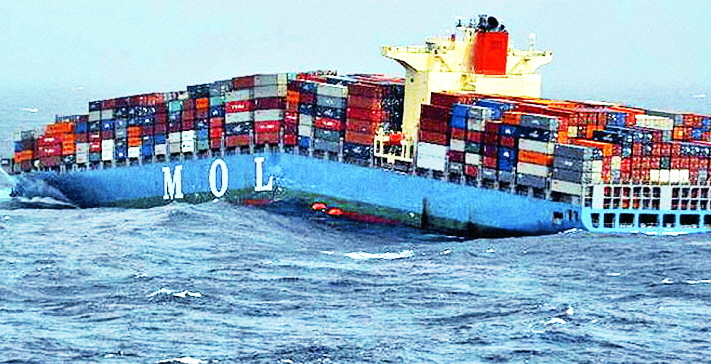 The stern half, however, sank. 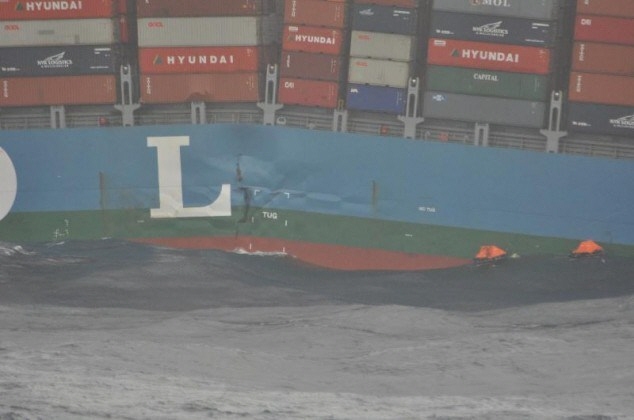 …but ultimately, the bow half sank too. 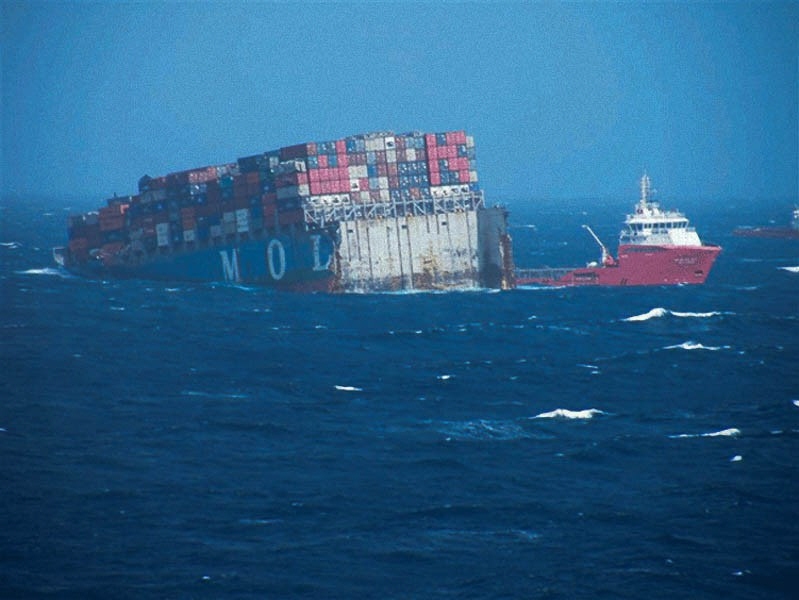 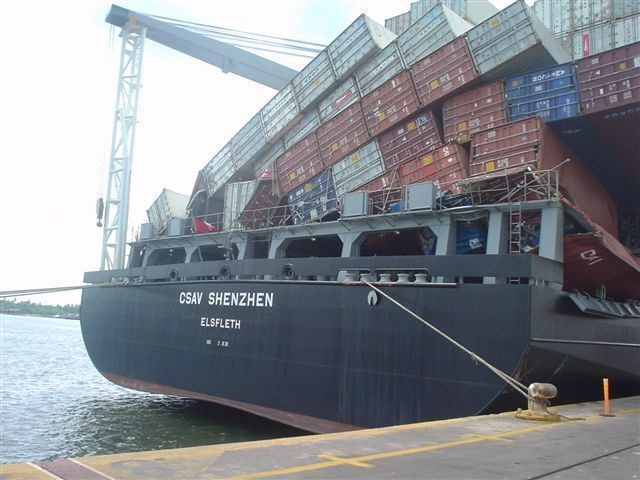 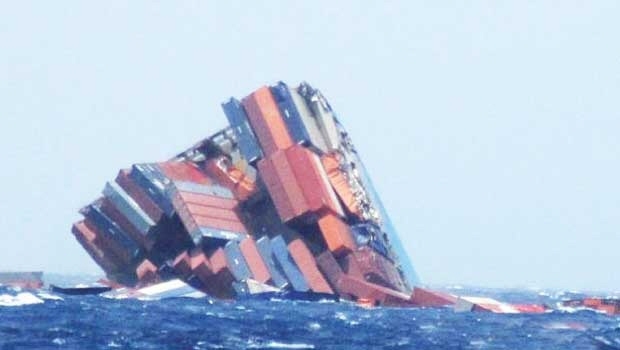 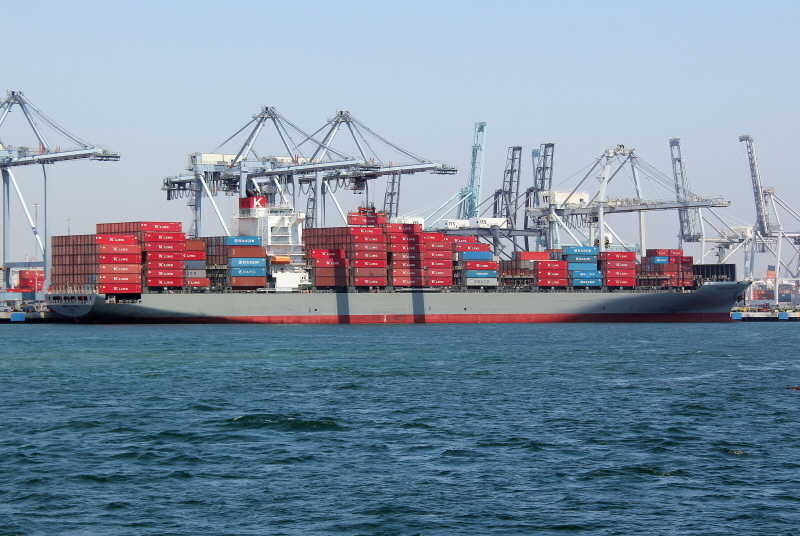 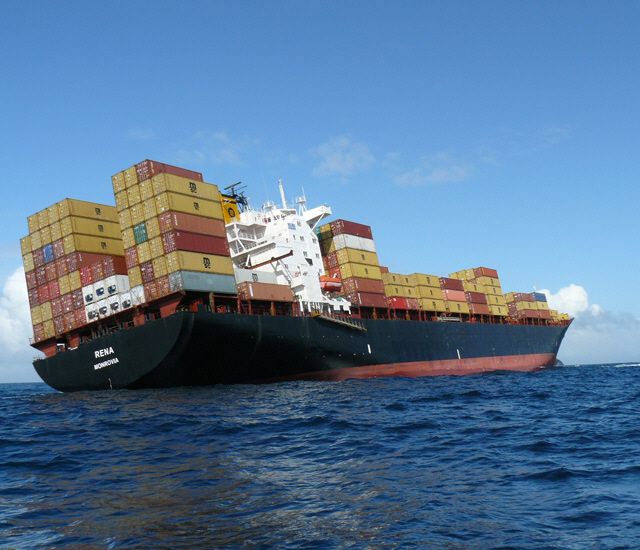 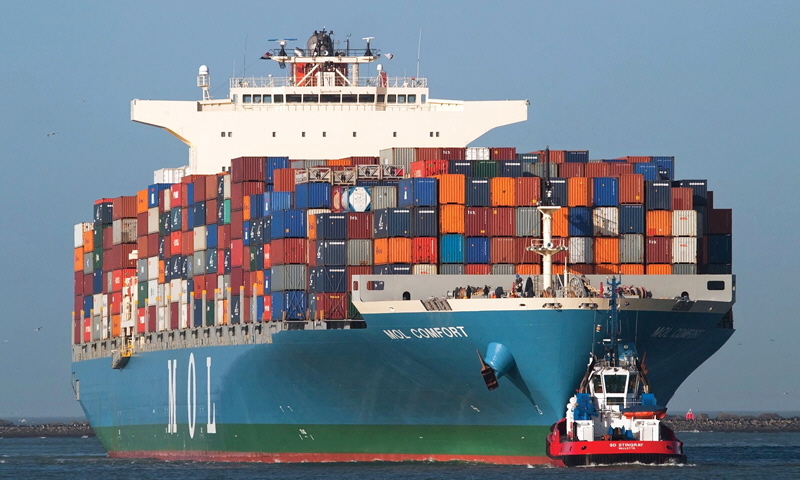 Sometimes cargo ships can lose containers even without a major structural failure. 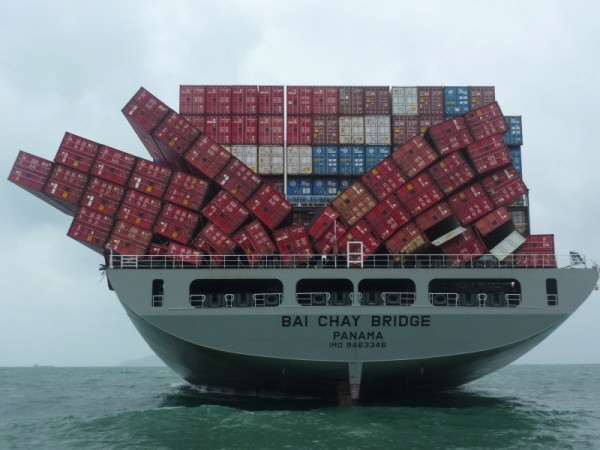 This is the M/V Bai Chay Bridge. 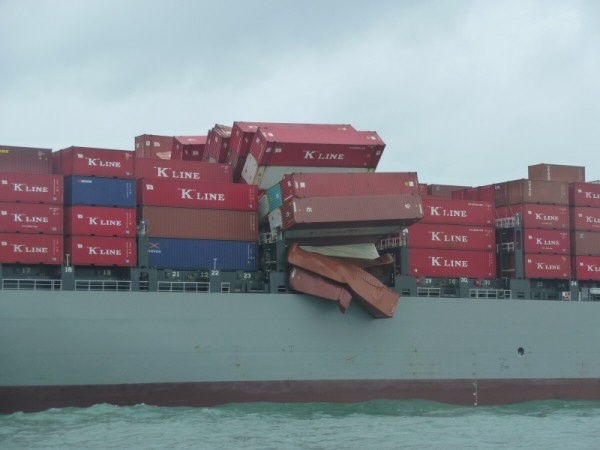 Luckily these latter three ships were able to make it safely to port. 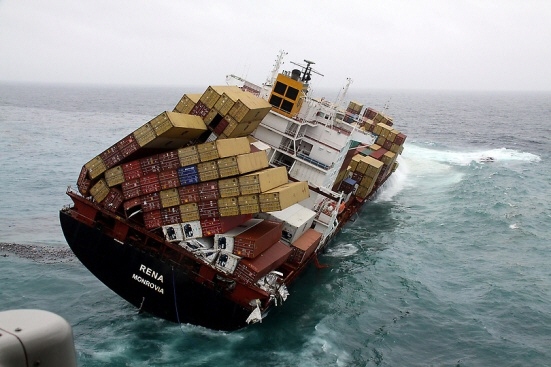 For those that are not so lucky and wind up at the bottom, extreme engineering solutions are sometimes needed to salvage the wrecks. 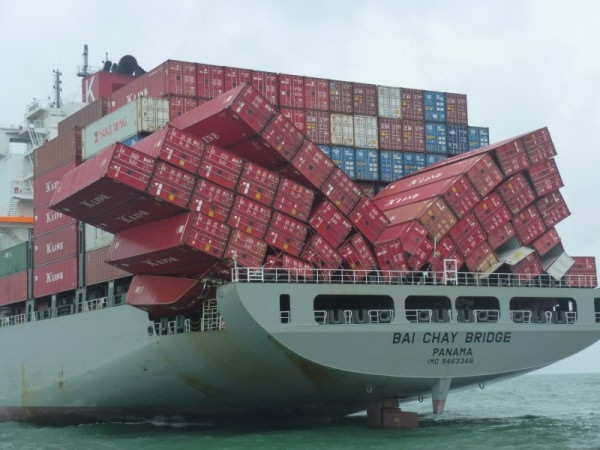 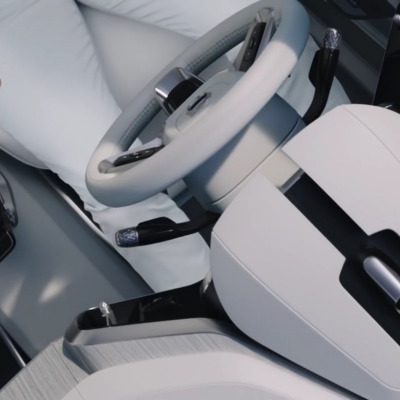 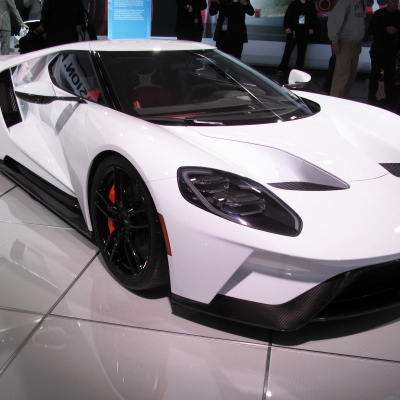 Here's one of the crazier solutions we've seen in this area. 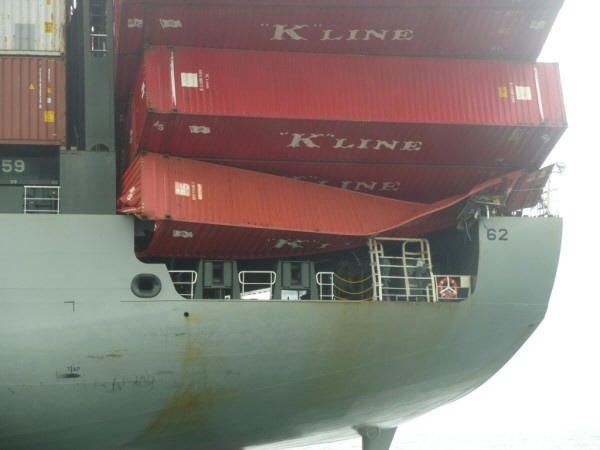 amazing how the corners twistlocks hold the containers together, most of the time. 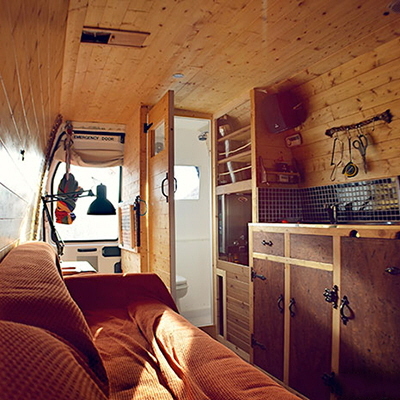 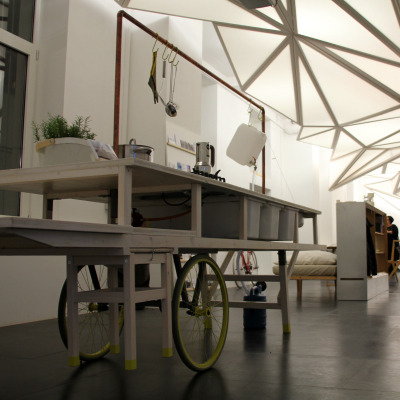 "This was originally about traveling in a van, but now it is about living in something I built"